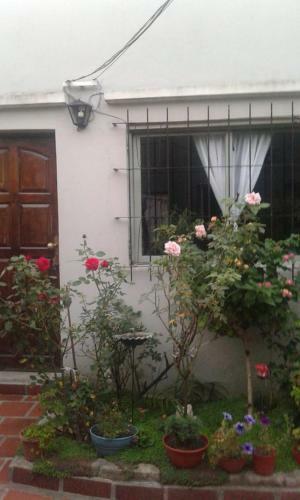 Apartment Alojamiento Dorimar is located at Machado 266 ----- in Tandil only in 1.8 km from the centre. Here are offered a full range of guest amenities: internet services, car lot, family friendly rooms. It is important to note you can use cash-only payment. For guests, comfortable accommodation is offered only one room type - apartment. In accommodation facilities are the refrigerator, dining table. You will enjoy a garden view from your window. For guests is provided special facilities: patio. This apartment has a kitchenware, kitchen and patio.